The ​North American Conductor Association (NACA) is a professional group exclusively for conductor teachers. 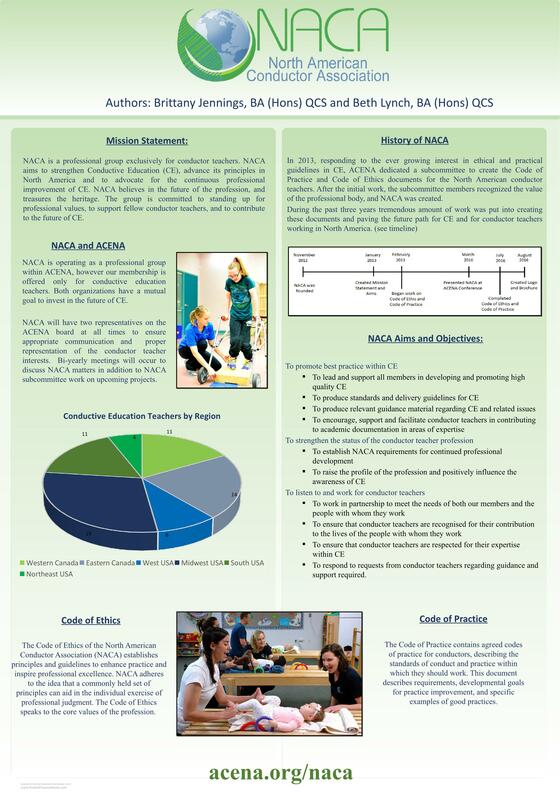 NACA aims to strengthen CE, advance its principles in North America and to advocate for the continuous professional improvement of CE. NACA believes in the future of the profession, and treasures the heritage. The group is committed to standing up for professional values, to support fellow conductor teachers, and to contribute to the future of Conductive Education. For more information or to become involved in upcoming projects please contact Beth Lynch at bethlynch83@gmail.com.